The Pleiadian Healing Center is run by Master Healer Ananja Michell. Ananja offers One-to-One Healing Transmissions, Transmission Audios and a monthly Pleiadian Ascension Support Program. The transmissions work with the Christ Consciousness planetary grids, your Divine I AM presence, Gaia's 5D crystalline grid and off-planet Pleiadian ETs to provide a deeply transformational healing experience. Book your one-to-one HERE or learn more about the support group HERE. I have always had a strong connection to the stars. As I developed my healing abilities over the years (including a decade of practising Usui Reiki and Reiki Tummo, with six years practising as a Master), I found myself sensing a connection to an extraterrestrial race known as the Pleiadians. The Pleiadians are a heart-centred, benevolent race of ETs known for their gentle nature. As I developed my knowledge of the true situation within our solar system and beyond (check out Cobra, Cosmic Disclosure and David Wilcock for excellent information on this), I found my telepathic abilities increasing, with my ability to sense changes globally and cosmically increasing beyond measure. One evening, in January 2018, I felt a heavy exhaustion wash through my body. It felt similar to the familiar ascension symptoms I have become accustomed to; downloads, upgrades, flu-like feelings and an intense need for integration downtime! However something was different this time. The exhaustion was so sudden and so profound that I lay down on the nearest chair. I could barely lift my head or speak. Then I sensed an ET ship above me, and a knowing that it was my Pleiadian family. It was like they were beaming down light specifically onto/into me, full of codes, information and activations. In the days that followed, I received information about my 'mission' here on this planet, and that I needed to start taking action right away. Around a week later, when my partner came home from work, the same thing happened. But this time the connection was much stronger. My body felt electric and my face tingled. I came upstairs and sat down with my laptop. I channeled a message from the Pleiadians for myself and my partner. That night, it was like I was a wide open creative channel. I had so many ideas I couldn't write them down fast enough. I was up almost all night. By 7am, with my son due to wake in an hour, I telepathically said to the Pleiadians, 'Please stop! Please calm my mind as I really need some sleep.' I couldn't believe it but within two minutes my mind was completely still and I drifted off into a deep (but short!) sleep. Shortly after that I was scheduled to have a weekend training with the London-based healer and spiritual teacher, Vaz Sriharan. The training was in Divine I AM Transmissions and oddly I was the only person booked on. The healing modality came naturally to me and another major part of my life purpose clicked into place. As I practised delivering the transmissions, the Pleiadians were present for every one. I came to realise that I was guided to the training as it was the most powerful tool for them to work through me and assist in using their advanced consciousness and technologies to help others through me. Since then, my connection with them has increased to the point where I am half here and half elsewhere! As an example, today (23rd January 2018) I was spaced out for the whole day. I had the feeling an aspect of my consciousness was on their ship which is located in sublunar space. As the day went on I had images of the inside of the ship and the Pleiadians themselves flashing into my mind. I also got the guidance that I was led to complete the transmission training so I can embody a high enough frequency to be in close contact with them, without them being repelled by my density and '3D-ness'. By the evening I felt so frazzled with the high frequency energies running through me that I was like a vegetable! This Pleiadian connection is beautiful and profound. They are my off-world family and my home. Major change is about to take place on this planet and while I don't know exactly what my role will be alongside these Pleiadians, I know that guidance is coming thick and fast and I will step up in whatever way is required of me. My guidance for now is to offer free and paid transmissions, and practise them multiple times a day to channel these powerful energies into Gaia and the collective consciousness. The solar flash and ascension is just around the corner, and we are here to support you. We chose the name Pleiadian Healing Center as it embodies current offerings and our plans for the future. 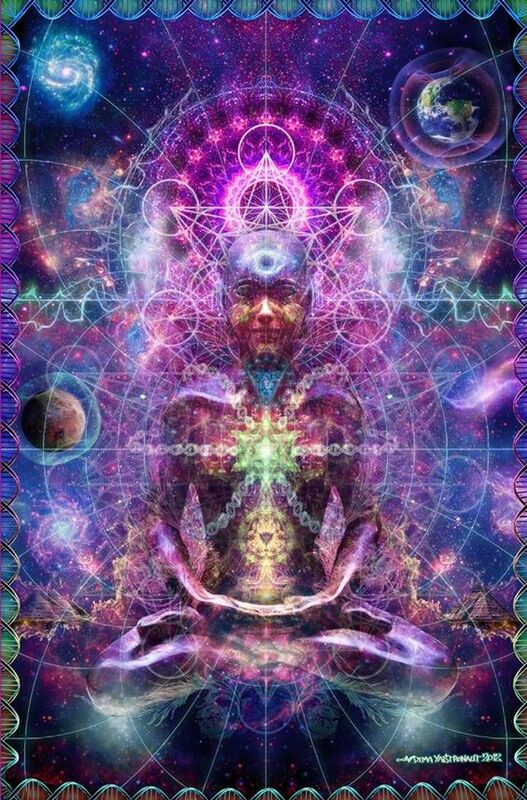 For now, the transmissions allow the Pleiadians to work as closely with you as possible without being able to literally come in and lay their hands on you. In the future, I see a physical healing center where the advanced Pleiadian technologies will be available for humans to enjoy freely. My heart is more full of love than I can describe, and I am overjoyed that such a huge piece of my life purpose has clicked into place now. May I be of service to you and offer you this profound healing system to accelerate your growth and expansion for your highest good and for the highest good of all.